We believe education is paramount to trading successfully. 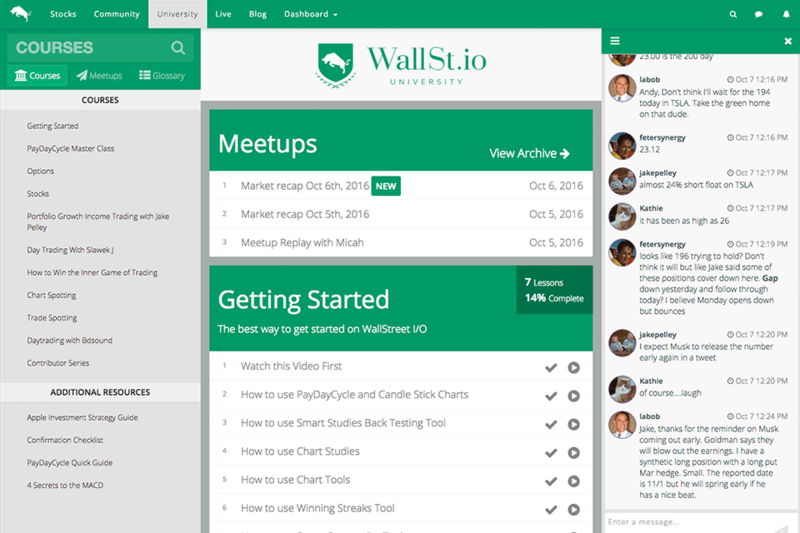 With WallStreet.io, you get access to a vast library of Stock and Options Courses, Live Meet-ups daily, and an entire Community of traders just like you. What are your risk management techniques? Learn from the pros, live streamed daily inside the app. Join Micah Lamar, CEO of WallStreet.io, as he talks everything from Swing Trading to in-app demos every Monday and Wednesday at 2pm ET. Day Trading with Slawek J. Introduce Slawek J. and his experience. Mention the time of the meetup. Introduce Jake Pelley and his experience. Mention the time of the meetup. Are you a new, intermediate or an experienced trader? Our world-class University has on-demand training for every skill level. Hone your technical skills as a trader and gives you the perfect foundation for trading in today's market. Curated for beginner to advanced traders. Rated the #1 Options Course, this series shows you exactly how to trade and adjust a matrix of bullish, bearish and neutral option trades. This is our flagship program for beginner to advanced traders. This Master Class shows you the secrets to high probability swing trading using a stock's natural cycles. Learn to trade the 5 Best Day Trading Strategies while leveraging the first 60 minutes of the day! Created by our resident retired Professional Prop trader, Slawek J. Learn the exact steps our income trading expert Jake Pelley uses every month to bring in consistent income. This course is designed for higher net worth individuals looking for consistent income. Are you tired of trading alone? Our Community is always just a message away. Our Social Network makes it easy to share trade ideas, get feedback, and ask for help. 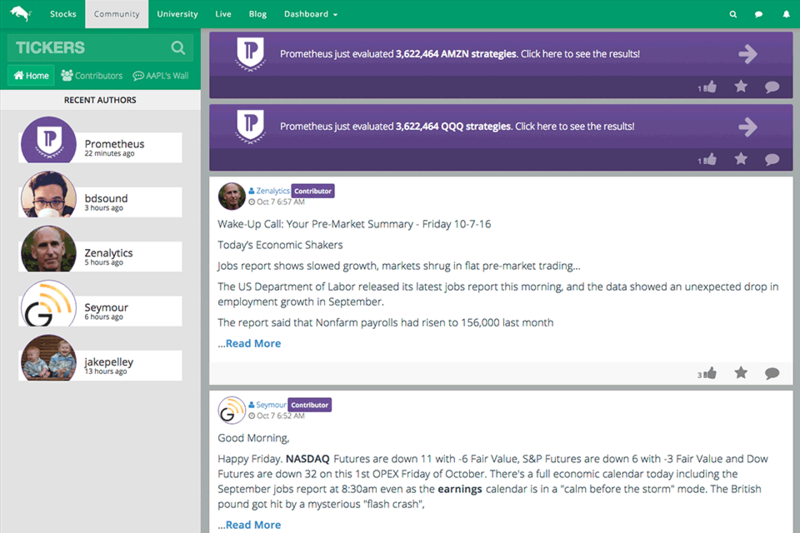 Our Live Chat Traderoom makes it easy to share strategies and work with the Community. Are you trading with the right tools for the job? Our Charting Platform makes it easy to leverage Big Data. Click here to learn how the WallStreet.io Platform will improve your next trade.